24 Mar How Does GPS Work? GPS or Global Positioning System consists of approximately 30 satellites orbiting our planet at an elevation of 20,000 kilometers. The network of satellites was initially developed for military use, but anyone who owns GPS devices can now get the radio signal broadcasted by the satellites. Each GPS signal transmits data about the present time and its position at consistent intervals. The GPS receiver intercepts the signals and computes the distance of the satellites from each other based on the amount of time it took for the message to arrive. The GPS receiver is capable of identifying your location via trilateration once it gets data on your distance from at least 3 satellites. If there are more satellites, the GPS unit will be providing more accurate data in pinpointing your location. GPS satellites are equipped with atomic clocks to keep precise time. Special and General Relativity predict that there will be differences between the satellites’ clocks and an identical one on the planet. Special Relativity predicts that since the clocks of the satellites are moving relative to an identical clock on Earth, they will seem to run slower. General Relativity forecasts that time will seem to run slower when there’s a powerful gravitational pull. As such, the satellites’ clocks will appear to work faster than the same clock on Earth. The entire GPS network needs to create an allowance for these differences. GPS has many uses. It’s useful to surveyors, pilots, farmers, scientists, military and boat captains. GPS is used in the telecommunications industry. Mobile telephones use it to provide users with stability, accuracy, and reliability. Other clocks can also offer these benefits, but GPS supports synchronized time zone derivation through satellite signals. GPS is used in different earth science, physics and biology as well. Before, scientists used plastic and metal bands to tag animals and follow them to different locations to monitor them. Since the development of GPS apps, scientists have been able to fit animals with collars and record their movements through the app. Information is sent to the scientists through a satellite, allowing them to trace the location of the animals without having to find them physically. Earth scientists also use GPS apps to study geographic areas they are interested or how landscapes shift over time. Here are the other uses of GPS. Boat captains use GPS apps to navigate through waters. These apps help them ensure that there are no hindrances that can deter their navigation. GPS apps are used to position and map dredging operations in sandbars, wharves, and rivers to make sure that other boats know how deep they must get. These apps are also used in aviation. GPS receivers are used to give passengers and pilots real-time information about aircraft position. These tools provide a map of different destinations depending on where the base of the aircraft. Airline operators use GPS receivers to determine which route is the safest, most fuel-efficient and fastest. These tools are also used to monitor the aircraft and direct pilots when there’s a change in weather conditions or other problems that may arise. Heavy tack machines used in construction and mining use GPS as well. Improvised in-cabin vehicle control and guidance systems have replaced surveyors and marker pegs to make work easier as the driver is only required to follow the pre-programmed site plan of the surveyor. This allows constructors to achieve close tolerance for gradient, level, and position. Farmers are also putting GPS receiver on their farming equipment to map plantations and make sure that they return to exactly the same time when weeding or planting in the next season. This is an effective strategy when it is foggy as the machine will still work since it has a GPS receiver. It doesn’t depend on visual reference guides. The high accuracy of the tool also makes it ideal for mapping soil sample locations. Farmers can find areas with soil ideal for planting. GPS is used in social activities as well. Some of these activities include geodashing, cross-country cycling, paragliding, skiing, skydiving, and hiking. GPS is particularly beneficial in surveying as it’s used in measuring and mapping underwater and Earth surface. This technology is used to determine land boundaries, highlight the structure changes and map sea floors. Surveyors can set up the app over one point and use a reference marker. They can use it to map the boundaries of certain features and use the information obtained from the app to input the details into software, allowing them to provide customers with a comprehensive chart. Financial organizations are using GPS to determine and schedule international and local money transfers as well as give audit trails of financial trades. More than 80% of the financial transactions are completed through credit and debit cards, so it’s easier to provide a higher timing accuracy level. The GPS satellite allows for time stamps and data of electronic funds transfers. GPS apps can help you locate positions. For instance, it can be used to find websites that provide specific services in your area. You can also use it to find your pets. A GPS microchip will help you identify the whereabouts of your cat or dog. 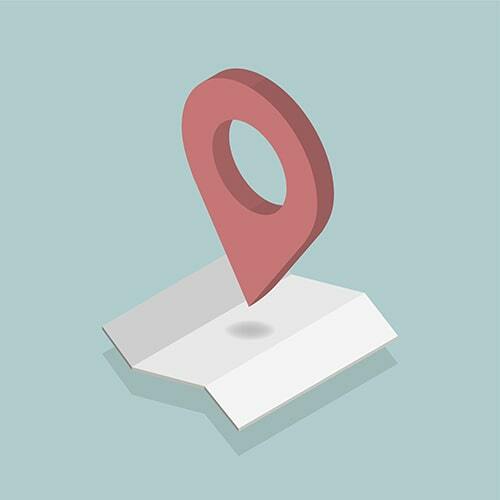 GPS can also help you monitor older adults, and it can be used anywhere. If the elderly in the family needs help, they only need to press a button, and you will be notified. There are wearable watches with a GPS microchip and small units that can be attached to their clothes. The police also use GPS during investigations and to monitor people who need protection. This technology has used in road transportation as well. It’s used for public transport monitoring, navigation and dispatch, emergency vehicle location, freight tracking, taxi services, and commercial fleet management. New car models are usually equipped with a factory-fitted GPS. Painting owners also use GPS to help them locate stolen items. When you are traveling to a place you are not familiar with, you should bring a tracker with you to alert your family or friends when you get lost or face dangers.